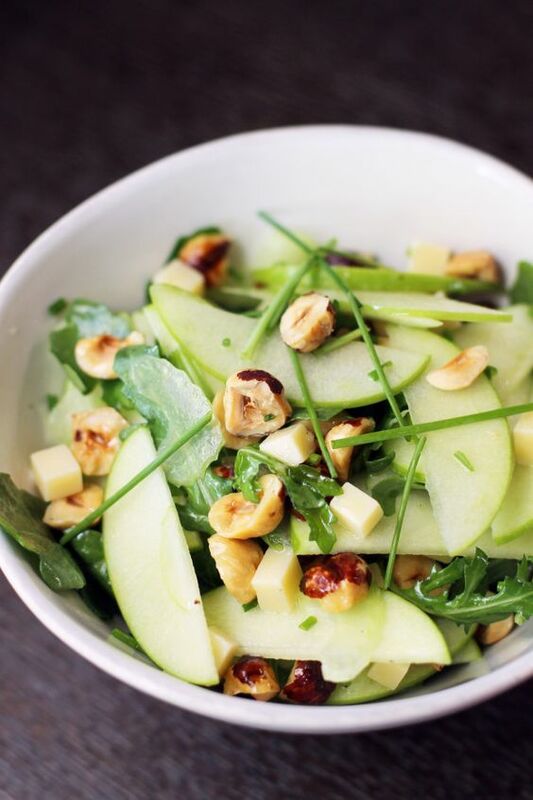 Salads are perfect for summer! They are easy to prepare, you don’t have to turn on your oven to cook anything, AND salads help slim down your waistline. And for anyone reading this that may find themselves “backed up” (constipated) sometimes, salads also help you poop! No longer will you EVER have to eat a lettuce salad! Today I want you to start thinking about salads like FIESTAS!! From now on your salads are going to be COLORFUL AND FLAVORFUL AND THEY WILL HAVE LOTS OF DIFFERENT TEXTURES. 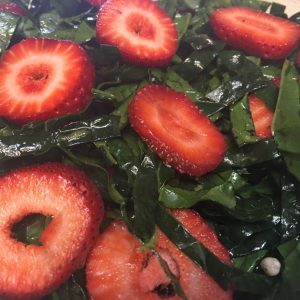 Adding toppings like apples, broccoli, fish (especially tuna and salmon), and strawberries are like adding super powers to your food AND in addition they taste great, they add super power nutrients to your diet and tell your body that you can start letting go of fat. 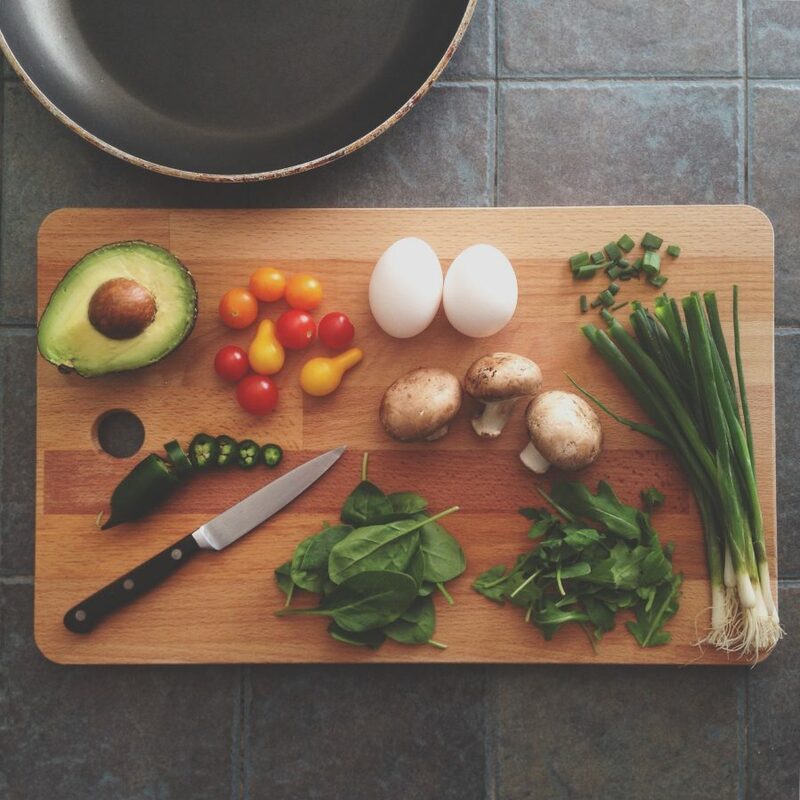 Dig your fork into some of our favorite sizzling super power salads for summer and be ready for a great tasting adventure that actually fills you up and leaves you feeling energized every time you eat! Place the baby spinach on a dinner plate and sprinkle strawberries, feta, and almonds. Drizzle the balsamic vinaigrette over the top. In a bowl mix edamame, tomatoes, and toss with oils and vinegar. Season salad with salt and pepper. Place slaw in serving bowl and top with grilled salmon and mix together. Mix chicken together with Greek yogurt, salt, pepper, celery salt, apples and walnuts together and refrigerate at least one hour. After cooled, place one scoop of chicken salad on top of a bed of arugula lettuce. Press 1 Tbsp. sesame seeds into a 4 oz. tuna steak. Sear the tuna in a non-stick pan coated with cooking spray, until it is at your desired degree of doneness. 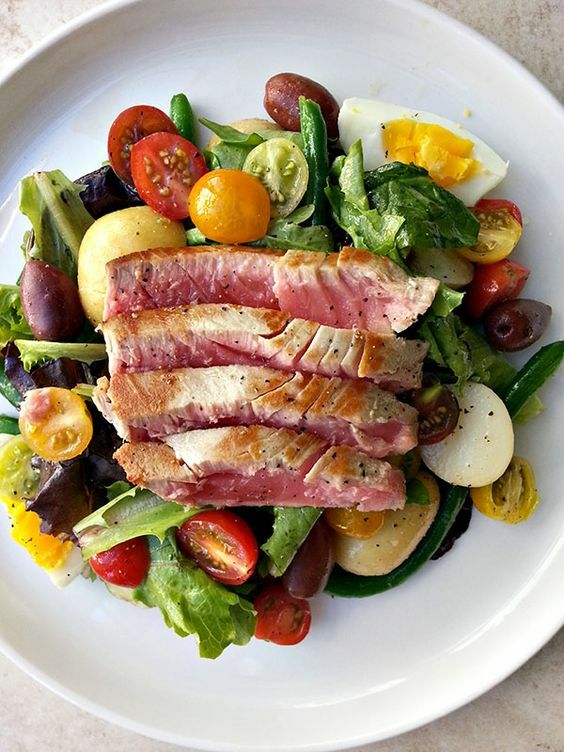 Plate a salad of 2 cups romaine lettuce leaves, 1 sliced plum tomato, ½ cup steamed green beans, and top with the seared tuna. Dress with fresh lemon juice and 1 tsp. olive oil. In a medium bowl, whisk together 1 tablespoon of the olive oil, plus the lime juice, chili powder and garlic. Add the shrimp and stir well to cover with the marinade. Lightly salt the shrimp and let it marinate while you prepare the broccoli and heat the grill. When you’re ready to grill, thread the shrimp on skewers. Heat a grill to medium high heat. Put the broccoli florets in a large bowl. Drizzle the remaining 1/3 cup of olive oil over the broccoli and use your hands to toss the broccoli so it’s evenly and thoroughly coated in olive oil and a few pinches of salt. If the broccoli seems dry, add more olive oil. Grill the broccoli florets for 8 to 12 minutes, so the tips are nicely charred. Keep an eye on it, turning the florets as necessary so they don’t get too crispy. When the broccoli is off the grill, then grill the shrimp skewers for 2 minutes on each side. In a large bowl, toss together the shrimp and broccoli. Squeeze fresh lime juice on top.